Based in Danville, PA, Geisinger Health System has gone to great lengths in its quest to improve patient satisfaction. Now well into its fourth year of implementation, Geisinger has a no questions asked money back policy of up to $2,000 per episode of care. Only co-payments and deductibles are eligible for patient refunds. Between October 2015 and April 2018, Geisinger has refunded $997,806, with the majority of patients not asking for a complete refund. The almost one million dollars in refunds over three years is a very small cost to the health system as they have received valuable patient feedback throughout the process in terms of how to elevate patient care and improve patient loyalty all while garnering plentiful amounts of media coverage. Patient satisfaction rates within the Geisinger Health System have increased since the inception of the refund process. With a portion of Medicare and Medicaid payments increasingly tied to patient satisfaction, the direct financial benefit can be realized even before the elements of loyalty and new customers are tallied. What can your practice do to improve patient satisfaction? Allocating meticulous attention to the customer is something that we have seen implemented to a greater capacity over the last decade. 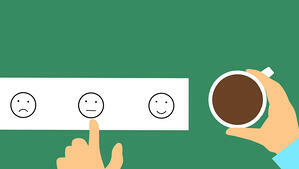 Although issuing patient refunds for dissatisfaction in care is not yet rampantly spreading throughout the nation, patient satisfaction surveys have become more prevalent within healthcare delivery while serving a dual benefit. Not only are practices more proficient in understanding the needs of their consumers, implementing a patient satisfaction survey can meet the requirement of the high weighted MIPS Clinical Practice Improvement Activity (CPIA). The CPIA represents a total of 15% of the total Medicare Incentive Based Payment System (MIPS) score. As practices are trying to attain the maximum Medicare incentive reimbursement, they are also tapping into what their patients want to see changed and what they like about where they are receiving care. According to the 2017 InstaMed Trends in Healthcare Payments Annual Report, 40% of consumers fear the cost of the illness more than the illness itself. Perhaps, FDR was speaking in the parlance of his times when he famously said, “The only thing we have to fear is fear itself.” This quote may have been revised if he was witnessing the anxiety associated with our modern-day healthcare payment models. So what steps can be taken in an effort to alleviate consumer fear? The implementation of a photo bill pay for a more tech-savvy consumer is a viable method many practices are embracing to speed up payment processing time and to increase the amount of time the patient spends interfacing with the platform. Responding to patients who post reviews on physician ratings websites may also be a positive step forward that may improve the online reputation of the practice. Any chance to hear the feedback of a patient is invaluable to drive change throughout the complete experience. Specifically, a baseline is required within the patient’s cycle of care encompassing how payments are accepted, how the amount owed is communicated, how they are treated by the entire staff of the practice from the physician, technician, scheduling department to the billing representatives. All of these employees are crucial to aid in the patient feeling that the service performed was worth their time and their money. The use of real-time demographic databases provide eligibility verification for the patient’s current health insurance. Additionally, these portals will provide a detailed benefit package tailored for each patient that outlines the out-of-pocket expenses following the insurance payment. These are necessary tools to help eliminate patients questions connected to their financial responsibility. Overall patient satisfaction, and it’s correlation to either payments, refunds or non-payment for service delivery, are becoming more critical than ever in a pay for performance world. Please check out our blog and our customer care center of excellence web page for other articles on the importance of a practice-wide commitment to improving the patient experience.